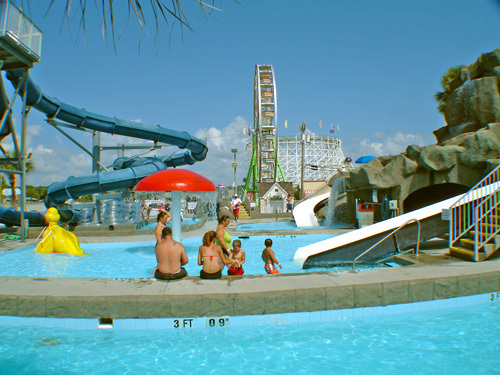 Myrtle Beach’s only seaside amusement park, Family Kingdom’s Splashes Oceanfront Water Park offers exciting family entertainment during select times during May through September. 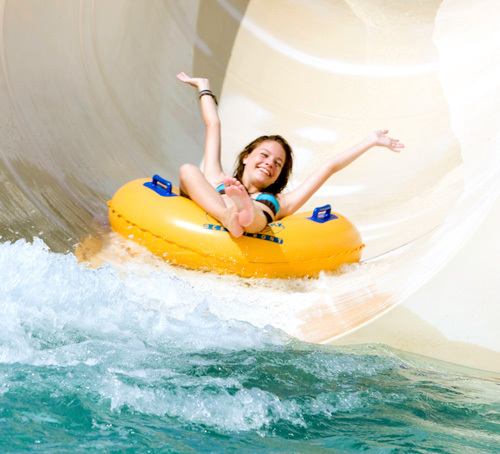 Guests can enjoy thrilling water flume rides, speed slides, intermediate slides, a 425-foot lazy river with waterfalls, rain trees, kiddie pools and children’s play areas, and more. 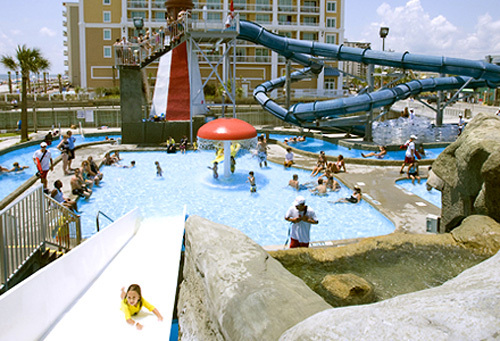 Myrtle Beach's only seaside waterpark. 425' long lazy river with waterfalls. Open May through September only. Re-entry permitted on same day visit. No admission cost; pay for rides only. 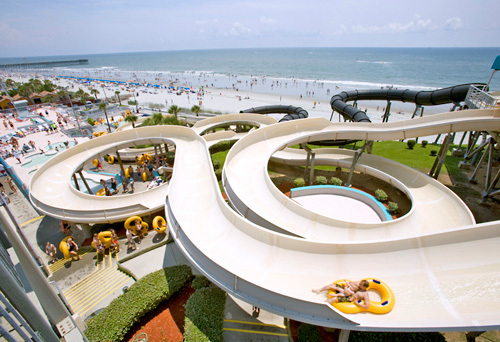 Myrtle Beach's Only Oceanfront Water Park – Family Kingdom Water Park! 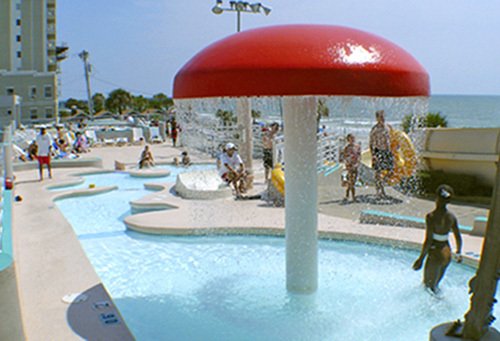 Splash your way through the "coolest" fun at the beach! 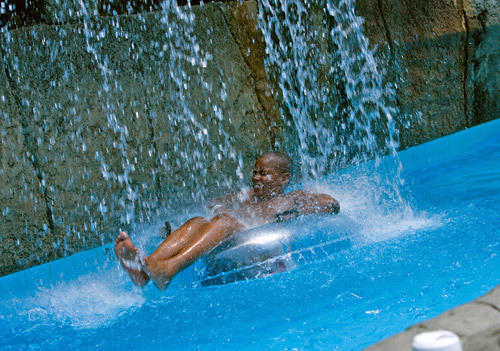 Feel the thrill of speeding down a water slide or simply relax as you drift down the cool, refreshing water of a lazy river. 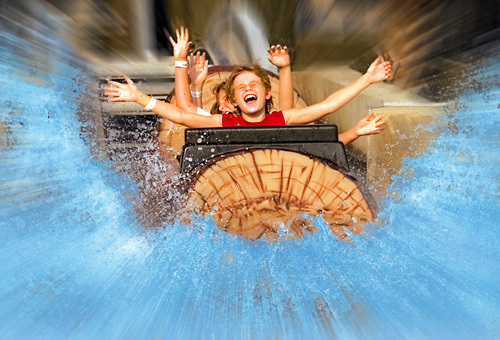 Family Kingdom Water Park has wet and wild water flumes, (over 100' drop), exhilarating speed slides, intermediate speed slides and a spacious 425' long lazy river with waterfalls. Children can enjoy splash pools with two refreshing rain trees, a uniquely designed waterfall and eight kiddie slides. Splash your way into fun at Family Kingdom Water Park! The best place to cool down this summer! If I do not ride do I have to pay? No, if you do not ride you do not have to pay. It is free to enjoy watching your family and friends. You only pay if you would like to ride the rides at the water park. If it rains can I get a refund? The Water Park does not close rides due to rain, however in the event of thunder and lighting, attractions will be temporarily closed. Since the parks remain open, even on rainy days, we do not offer any refunds or rain checks. We suggest checking the weather before entering the park. Yes, with a wristband purchase, you can leave the park and return anytime on the day of purchase. Keep your wristband on and to re-enter just show ride attendant. Can we bring food and or coolers into the parks? No, coolers are not allowed in park. Family Kingdom Water Park offers a wide variety of onsite food concessions for your enjoyment. Do I have to stay with my children? Yes, all children under 16 years of age need an adult chaperone with them at all times. Can I ride rides at the amusement parking without shirts or shoes? No, due to safety reasons, all riders must wear shoes and shirts while riding at the amusement park. Can we use flotation devices at the water park? Children can use arm floats, rings, and vest only in the kiddie pools. My child is under the age of 2. Do they need a ticket? Children under 2 years of age ride free at with a paying adult. Are strollers and wheelchairs available for rent? Yes. Strollers and wheelchairs are both offered for a $10.00 rental fee. ECV's are also available but must be rented from the Amusement Park office with a $25.00 rental fee and a $50.00 deposit with a credit card. A Valid State ID card is required for all rentals. Pets, with the exception of service animals, are not allowed on property. Can I bring alcoholic beverages into the park?